As you set your eshop marketplace solution on, you should pay attention to setting the invoicing details. Please check your billing details properly as there is no way to change the invoices later. Once the invoice is created, its kept in the system as it was at the moment of creation. Each eShop owner has its own responsibility to maintain proper VAT values and is also responsible in front of the local authorities to cover all VAT related fees, payments or documentation. Training-Online.eu doesn't take any responsibility in the VAT or tax area. * Eshop invoicing details are about to modify in the Settings / E-shop settings. As you switch the eshop on the form with the details appears. 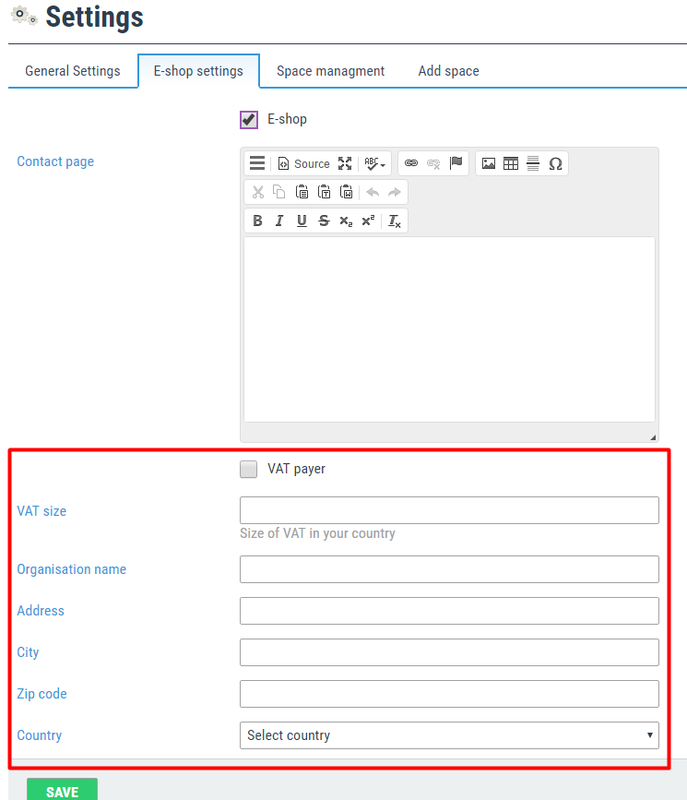 * VAT Settings - there are 4 scenarios available for VAT amounts. Edited 2 time(s). Last edit at 03/28/2018 11:50AM by Masteradmin.